Bloomington is home to over 80,000 people and is located 10 miles from Minneapolis. Being so close to downtown Minneapolis, Bloomington is a city full of effective advertising opportunity. The two major highways connecting Bloomington and Minneapolis are prime locations for billboards. 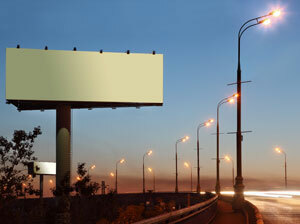 Billboards on Interstate 35W or Interstate 494 would yield high traffic exposure of your business. Bloomington is also home of the country’s largest shopping center, Mall of America. Mall of America draws thousands of tourists and shoppers to its stores every year and local advertising and out-of-home advertisers can take advantage of this opportunity. Another notable attraction in Bloomington is the Minneapolis Ski Club which holds Olympic events. Billboard ads around this area would be another effective advertising strategy.